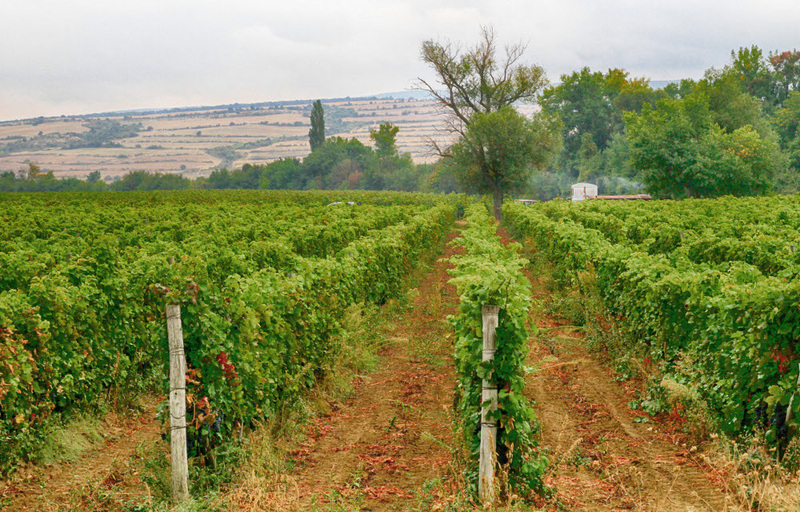 Did you know that Bulgaria was the second largest producer of wine in the world in the 1980s? Today, the country may not be producing wine on such a massive scale, but its thousand-year-old winemaking traditions continue to deliver high-quality and affordable Bulgarian wine. Indeed, vine growing and winemaking have been part of Bulgarian culture since time immemorial. 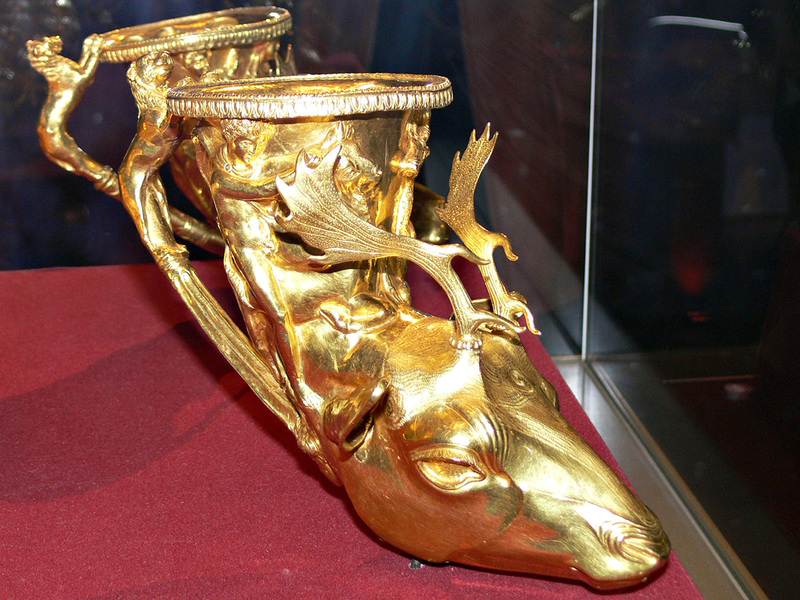 Thousands of years ago in what is today Bulgaria, the ancient Thracians were consuming wine from elaborate gold vessels in the shape of animals and mythical creatures. And who wouldn’t grow wine in Bulgaria – its sunlit hills, fertile soils and geographic latitude (equivalent to central Italy or southern France to the west) provide the perfect vine growing conditions practically all over the country. Wine is among the most popular drinks in Bulgaria, along with rakia and beer. The country is divided into five separate winemaking regions, each of those offering specific local wines. From the spicy Mavrud of the central south to the fresh Gamza of the northwest, I present you 7 unique Bulgarian wine varieties you totally must taste! For excellent wine tasting experiences in the Plovdiv region (pickup from Sofia or Plovdiv), book a private guided tour with Thracian Roads. Photo credit: Petar Milošević, Wikipedia. Mavrud’s name comes from the Greek word for black and you can definitely see why in this wine’s deep colour. Used to make a dark ruby-coloured and soft-tasting wine, Mavrud (Мавруд) grapes are almost exclusively grown in a small area just north of the charming Rhodope Mountains. More specifically, this sturdy variety is associated with the town of Asenovgrad and to a lesser extent with Perushtitsa. Mavrud grapes are typically small in size, low on yield and ripen late – the harvest is in late October. All these factors result in a spicy and fruity varietal with high tannins, appreciated for its high quality, remarkable maturing potential and local character. 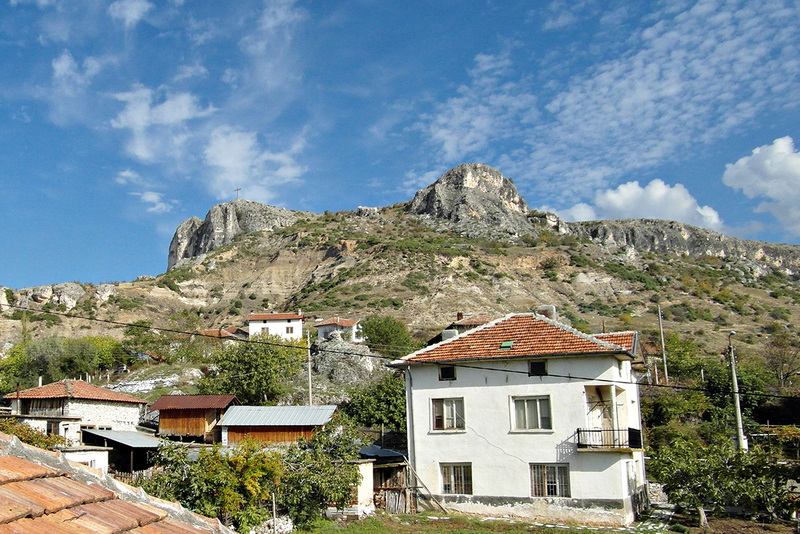 The scenic region of Melnik produces well-aging reds. Photo credit: Dupnitsa.net, Wikipedia. Planted in the southwestern-most and warmest corner of Bulgaria, in the distinct Mediterranean valley of the Struma River, the Broad-Leaved Melnik Vine (Широка мелнишка лоза, Shiroka melnishka loza) bears all the signs of an age-worthy southern red grape variety. 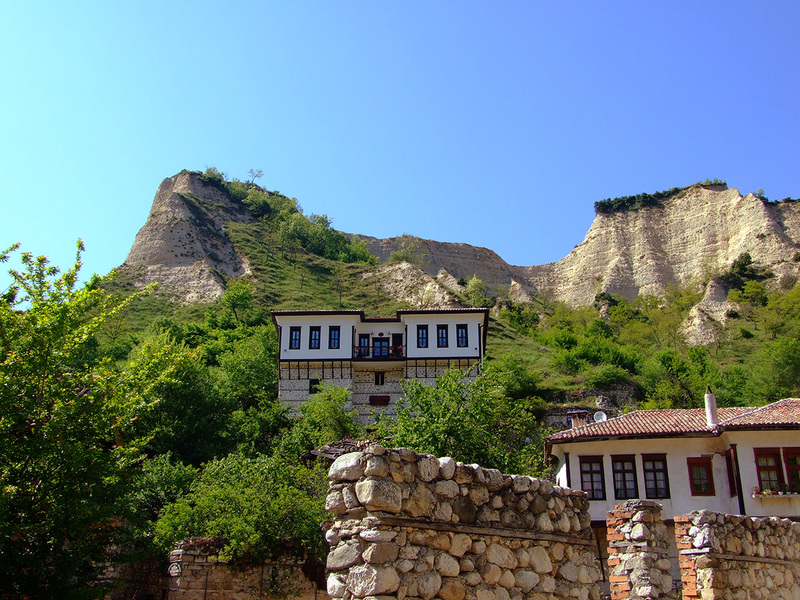 Varietals are often named just Melnik, referring to the picturesque smallest town in Bulgaria famous for its winemaking tradition. According to a very popular story, Melnik wine was Winston Churchill’s favourite – it is even claimed that Churchill had 500 litres of this wine delivered to him annually! Whether this is true or not, it is certain that wine from the late-ripening Broad-Leaved Melnik grapes has a captivating taste much like that of Châteauneuf-du-Pape of southeastern France, often with tobacco and leather hints. The typical Bulgarian white Dimyat is grown in the vicinity of the Black Sea. Photo credit: Pz.IStP, Wikipedia. Dimyat (Димят) is Bulgaria’s most widely grown indigenous white grape and its wine is often consumed chilled in the hot summer days. Known for its big, aromatic grapes, Dimyat has been grown for centuries in the east of the country, especially in regions adjacent to the Black Sea coast like Shumen, Varna and Haskovo. A curious legend claims that Dimyat was originally cultivated in the Nile Delta of Egypt and was brought to Bulgaria by Crusaders; for all we know though, its characteristics are typically Balkan. Dimyat wines are usually not aged. They taste sweet, with a strong aroma and a light body and are suitable as everyday dessert wines. Dimyat grapes are also used to make high-quality brandy and grape rakia. Pamid, a classic Bulgarian red wine, may have been consumed by the Thracians in such intricate vessels. Photo credit: Nenko Lazarov, Images from Bulgaria. An antique Bulgarian red wine classic, Pamid (Памид) used to be the most widely cultivated red grape in the country before the advent of worldwide favourites like Cabernet Sauvignon and Merlot in the 1960s. Somewhat ironically, today it is so hard to find that it may well be listed as endangered! Today, Pamid wine is consumed young as an unpretentious (but rather enjoyable and universal) table wine. Though comparisons to French Beaujolais are a bit far-fetched, Pamid is a pleasant light and fruity red wine that is a fitting companion to many of the heavier meals of Bulgarian cuisine. 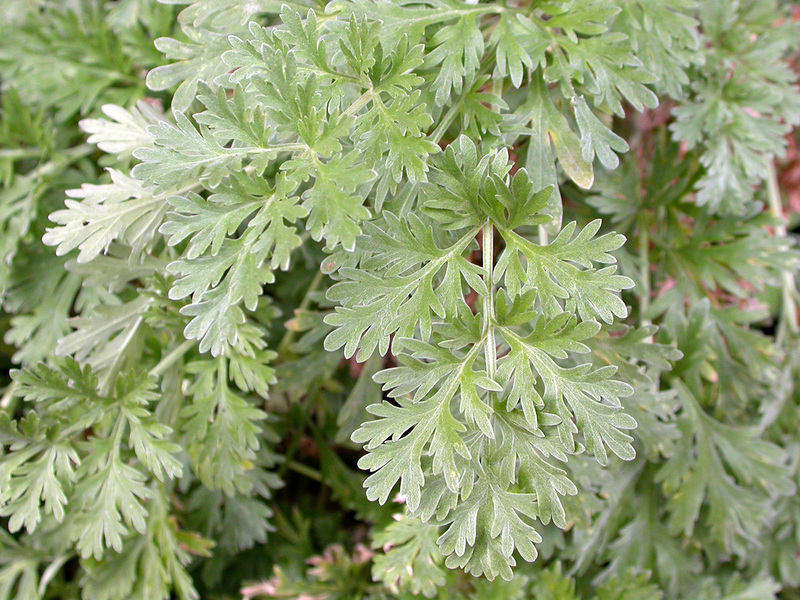 The main ingredient in Pelin, a flavoured Bulgarian wine style, is wormwood. Photo credit: Matt Lavin, Flickr. Pelin (Пелин) is not a grape and wine variety like the above, but rather a traditional Bulgarian style of wine flavoured with wormwood – the same herb used as a chief ingredient in the spirit beverage absinthe. Pelin can be made from red or white wine, often with a lower alcoholic content, and can even be carbonated. Besides wormwood, a set of other herbs are often added to fragrant Pelin wine. The Osmar wine cellar, which is associated with the drink, claims to flavour red Pelin with 34 individual herbs and the white variety with 28 – reportedly, only two people know the exact recipe! Pelin is typically enjoyed in winter, when its stimulating effect helps you get through the cold days. The sunny village of Ilindentsi in the Struma Valley is the home of Keratsuda wine. Photo credit: Bovlad62, Wikipedia. Coming from a specific white grape native to the warm Struma Valley just like the red Broad-Leaved Melnik, Keratsuda (Керацуда) wines have a characteristic golden colour which quickly turns rose-amber once the wine is opened. Keratsuda is planted in a very limited area around the village of Ilindentsi, where vineyards exist side by side with pomegranate, olive and date palm trees. Keratsuda wines are typically simple white table wines, with a strong and characteristic aroma and low acidity. Keratsuda is light, fresh and gentle in taste and is suitable for making fortified wines which resemble sherries. 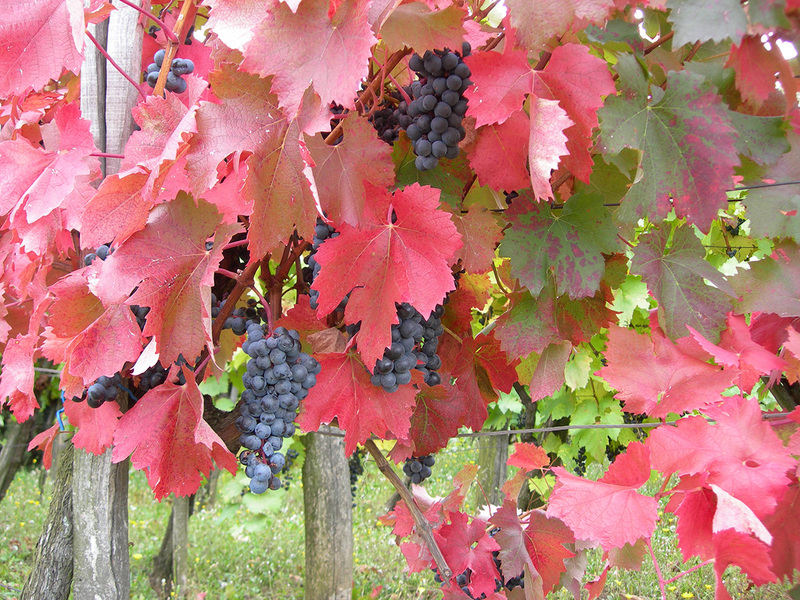 Gamza is a red grape variety associated with Bulgaria’s Danubian Plain. Photo credit: PAvdK, Wikipedia. Gamza (Гъмза), also known as Kadarka (Кадарка), is a red grape variety very characteristic for Bulgaria’s northwest and central north, in close proximity to the Danube River. Gamza’s origins are somewhat mysterious, as this kind of wine is also enjoyed in Hungary, Romania and the Western Balkans. In Bulgaria, Gamza is associated with the village of Novo Selo and the towns of Vidin, Pleven and Suhindol. Gamza grapes ripen in late September and the wines are fresh, harmonious and gently fruity – somewhat comparable to Pinot Noir, though the variety is very suitable for making rosé wines a well. As far as I know, Gamza and Kadarka are the same thing. Hi i love bulgaria ive visited varna it was a great vacation but there is one place i needed to visit i saw on the internet which is ravadinovo castle in sozopol does anyone know anything about it? Hello Cerine! I’ve featured the Ravadinovo Castle in an earlier article already (number 8). As far as I know, you can’t enter the castle itself for the time being, only tour its gardens. And the entry fee is 10 leva (approximately 5 euro). This is the castle’s website if you would like to contact them directly for more details. Wonderful post. I’ve become somewhat of a Bulgarian wine evangelist (thanks to the enthusiasm of a wine lecturer from Bulgaria). When the wine is good, it is very good. I actually spent today showing a range of wines from Bulgaria to a wine shop in the Cotswolds – they were blown away (especially by Mavrud, Melnik 55, and Rubin). Hopefully a new group of wine drinkers will soon be exposed to what the country has to offer once they’re on their shelves. Nice shout on the Pamid – a great alternative to Beaujolais Nouveau. Whilst not Bulgarian, I find the Rkatsiteli wines produced by Borovitza to be a brilliantly refreshing and mineral example of the variety. Definitely recommend the wineries in the area of Melnik. Amazing atmosphere and delicious wines. “Did you know that Bulgaria was the second largest producer of wine in the world in the 1980s?” This is not true and no serious publications should use it without checking the facts. 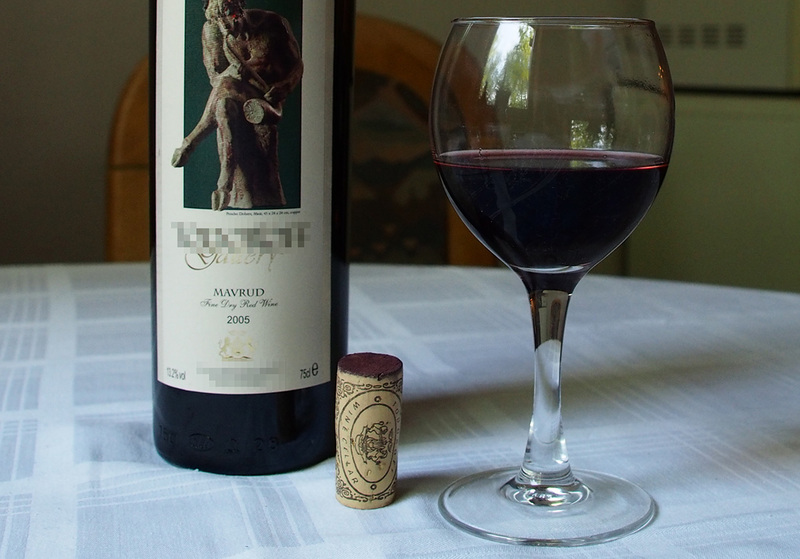 It is rather embarrassing mythology that perpetuates by being republished from site to site, and doesn’t bring credibility to the Bulgarian wine industry, so let’s face it – it is not true fact. Vance, that statement is debatable but not entirely untrue. Bulgaria was rated the 2nd largest EXPORTER of “non-bottled” wine in the 80s, 2nd to France. In other words, those wines were probably used for inexpensive local blends or to distill other spirits. It may have well been a communist propaganda, but it was a stated fact, nonetheless. Surprising -exciting and impressionating bulgarian wines, n’importe quelle departemnet/ reegion!! Mail to: j.leske@hotmail.com or ,just call me next week (monday 17 th) 0031(0)611844354 (jacques). http://Www.Radevtrade.com sells Bulgarian wine in Canada outnof Vancouver. He may be able to ship to the US. I’m glad to see all theese posts for the bulgarian wines. I recommand you deeply to see this site http://www.vinira.fr.